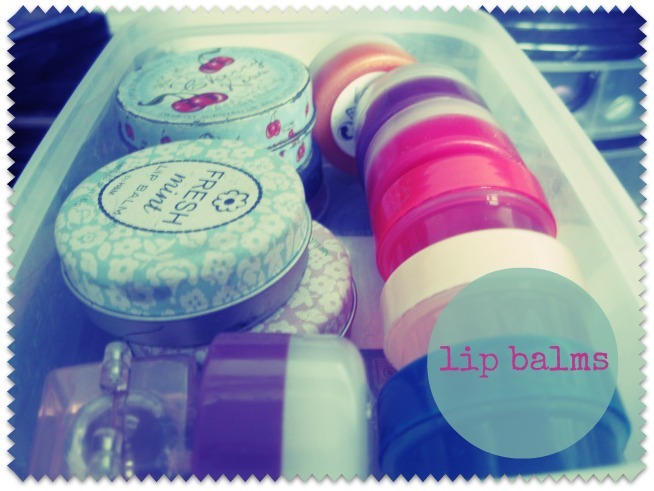 ☯ Luna Moonis ☯: #1 - My Make Up Collection! #1 - My Make Up Collection! In my last post I mentioned I was doing the 31 Days of Fashion/Beauty tag (see it right here) and I couldn't wait to get started on it, so here it is!! I also tag all of you-let me know if you do it! 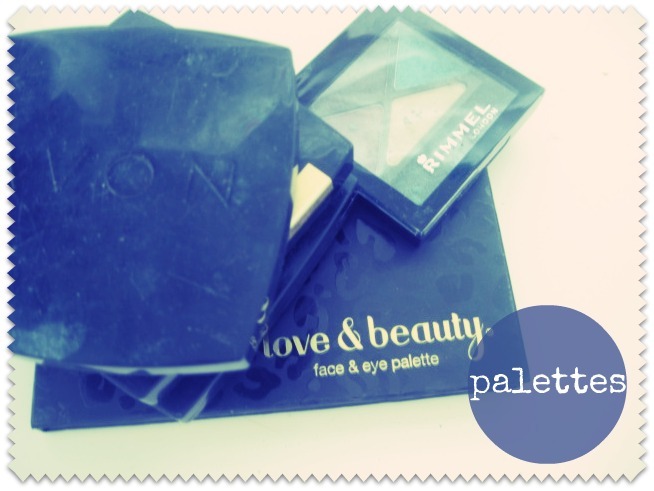 I used to be a total make-up geek - it was like my life! I'd spend ALL my money on makeup... it was pretty sad to be honest. Since then though, I've downsized my make up collection (dramatically) and I only use all this stuff for special occasions; I have a make up bag that I use for everyday with all the essentials. It's soo much easier this way! 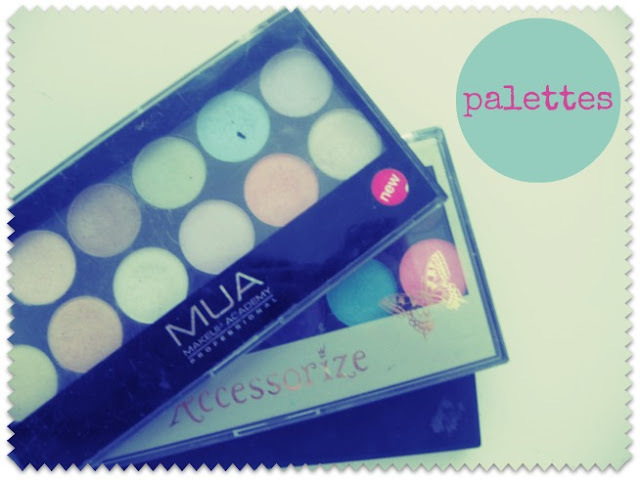 First I've got all my palettes. Eye make up used to be my favourite part and I'd sometimes spend half an hour in the morning just on my eyes. 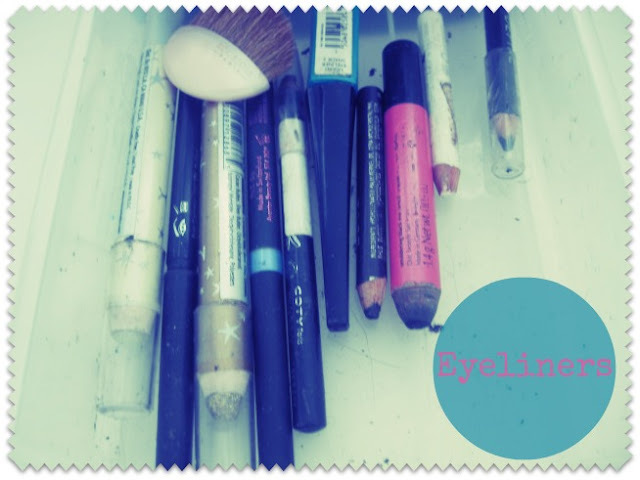 I've moved on from eye shadow now, and I'm a bit of an eyeliner and mascara junkie. The ones I use everyday (Rimmel Scandaleyes, Natural Collection Lash Length, Collection 2000 Multiplier (Holy Grail Mascara!) 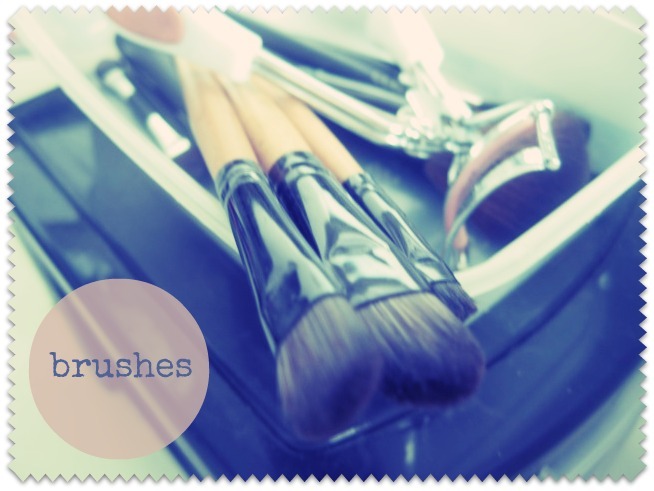 I keep in my makeup bag. Is it possible to get addicted to lip balms? Because I think I am. I really really hate lipgloss. It feels yucky! It doesn't really suit my either, so usually I'll just stick to lipstick. 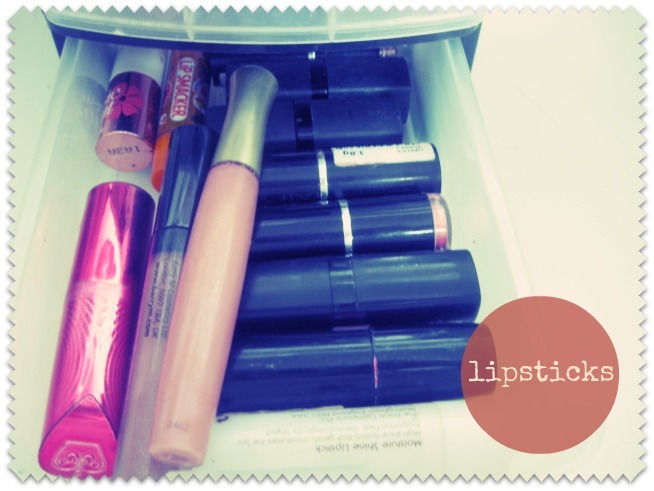 I wear Rimmel Colour Show Off lipstick in 030 Tell No One (the one in the bright pink packaging) pretty much everyday. Heyy cool blog post. I could do with some better brushes! Personally I'm in love with Urban Decay and of course everyone should own a few M.A.C lipsticks!! 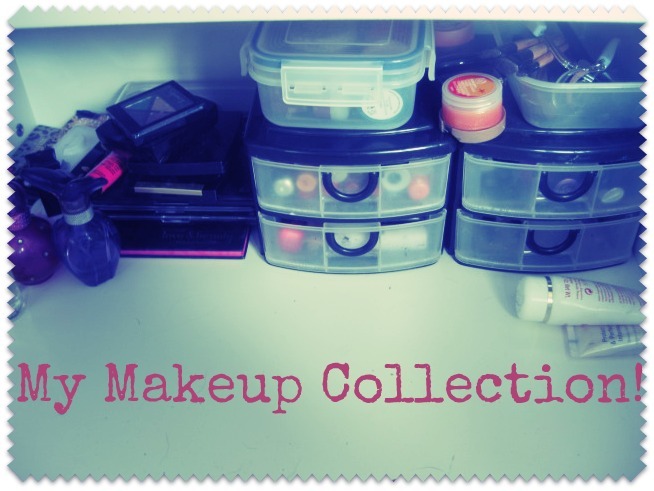 What a lot of make-up! 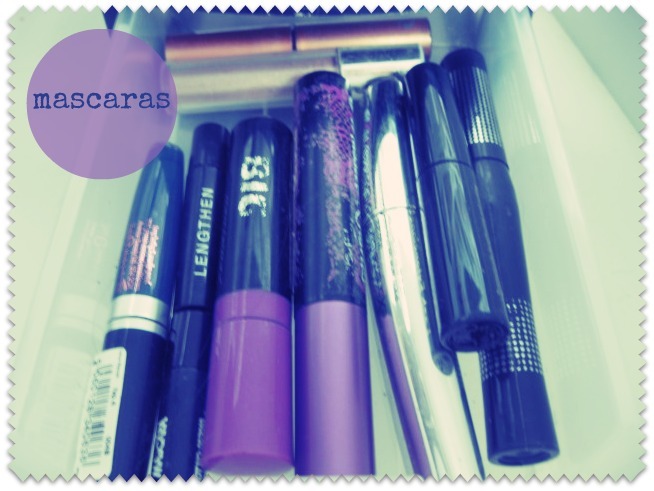 Oh well, a girl can never have too much make-up! !